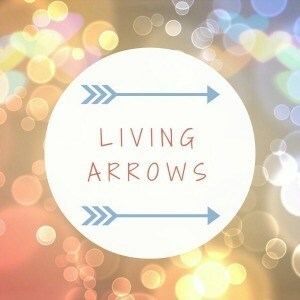 The photos for this week's Living Arrows post were taken at my in-laws. 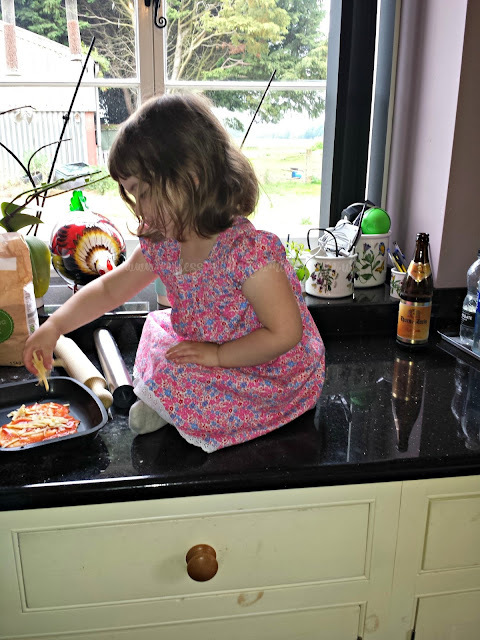 We usually go over once a week for dinner and she often tries to include the girls in what she's doing in the kitchen, mostly in the hope that they'll eat better! 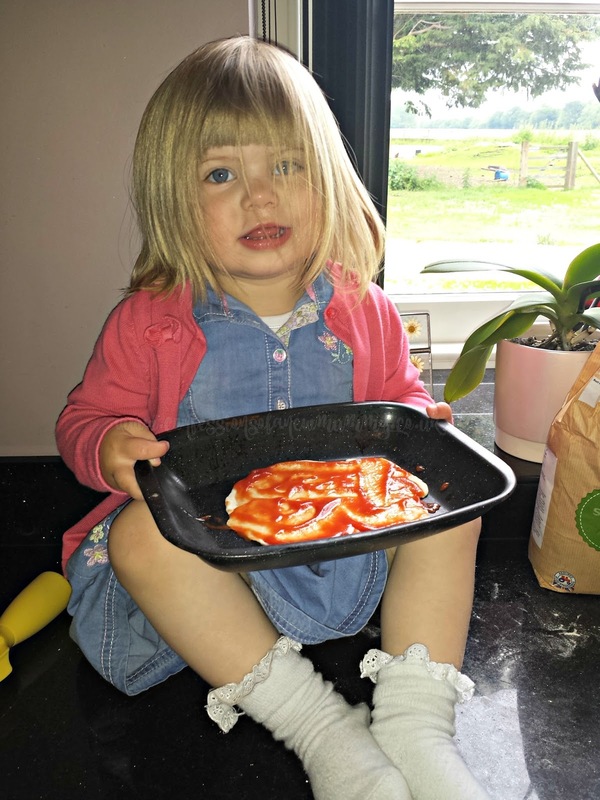 This week she found a quick and easy recipe for a pizza base so homemade pizzas it was. Even though she hadn't added anything to it, T was still keen to share hers! Needless to say, after all that effort they hardly ate any of it! T has had a heavy cold and has been off her food and I don't quite know what was wrong with E, I think it was simply that she was overtired. Still - we enjoyed it!